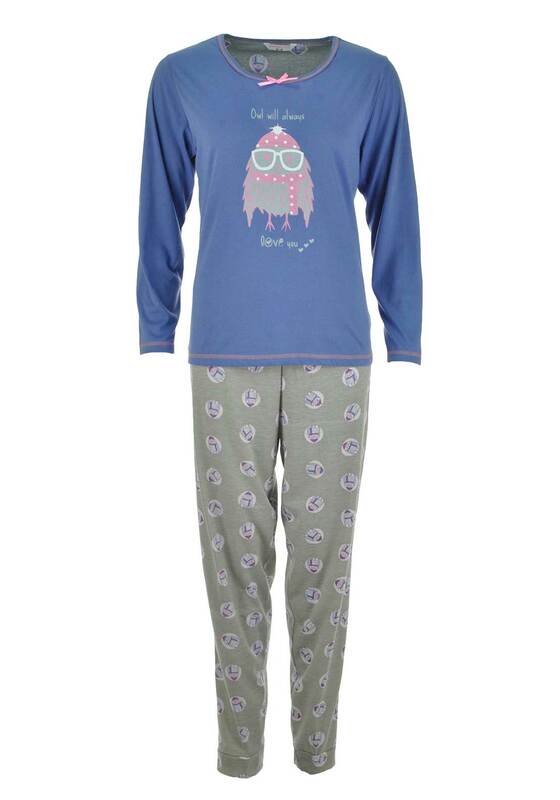 A festive owl graphic print takes centre stage on this fun and quirky pyjama set from Indigo Sky which is perfect for relaxing evenings and weekends. The long sleeve pyjama top is presented in a soft violet blue shade and made from comfortable cotton blend jersey fabric. 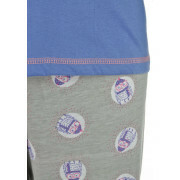 The grey pyjama bottoms have an owl print throughout and an elasticated waistband.